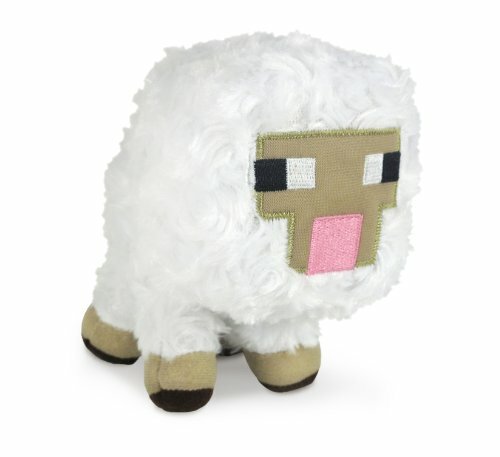 Today we have a great selection of Minecraft themed gift ideas for you. 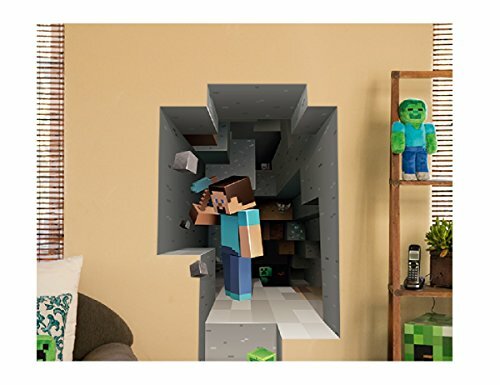 I never got into Minecraft but my nephew did for a while and I know he would have loved any of these cool Minecraft gifts for his birthday present. 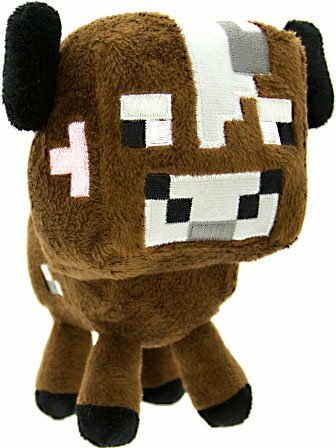 There is a whole range of Minecraft plushies available and the animals are definitely the cute ones although my favorite is the Overworld Zombie plush. Besides the baby sheep and baby cow below, there is also a baby mooshroom cow and a baby pig too. 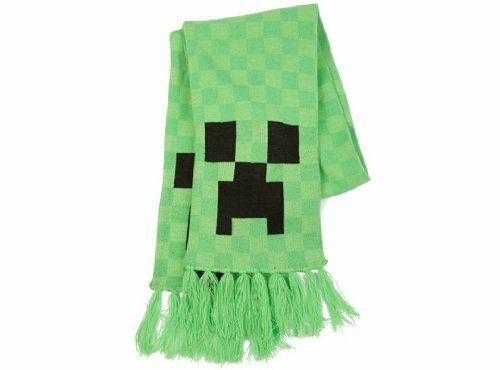 I’ve featured a Minecraft Creeper Hoodie before but this Enderman hoodie is much more subtle. It’s a men’s style but I’d love one of these myself. 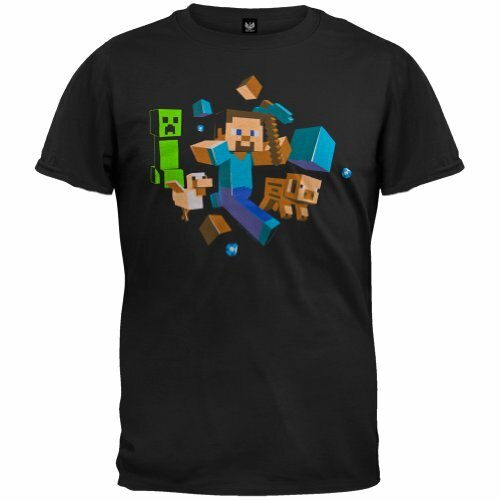 I really like the Anatomy of a Creeper t-shirt – it’s different from the usual Creeper tees which are just green & have the face on them! 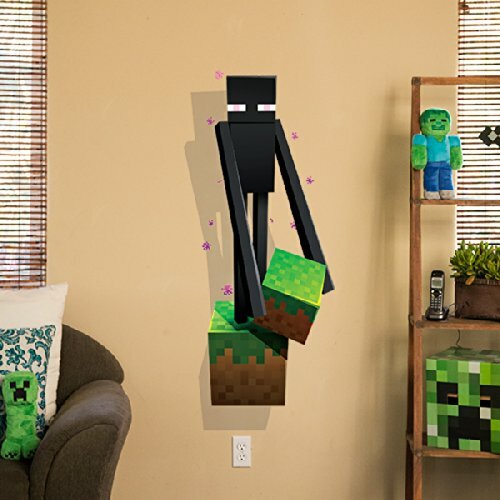 These 3D effect wall decals/clings are fantastic and would look amazing on any child’s bedroom wall. I love how the stylist has presented the room decor around it – I spy the zombie & creeper plushies in there too! 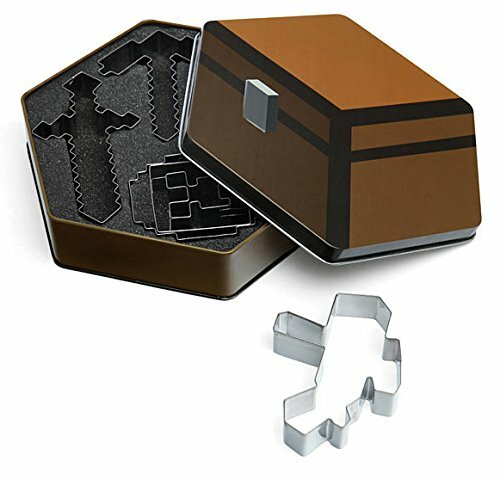 The cookie cutters would be a great gift for anyone who likes baking cookies or perhaps for a Mom with a Minecraft themed party to bake for. Also for kids (or perhaps the grown-up kids out there! ), these vinyl figures are sure to keep them amused for a while. 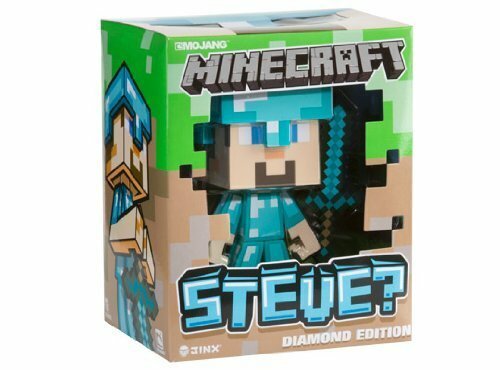 The boxed Diamond Steve includes a sword and helmet and is an official Mojang limited edition though so you may want to keep that one for yourself! 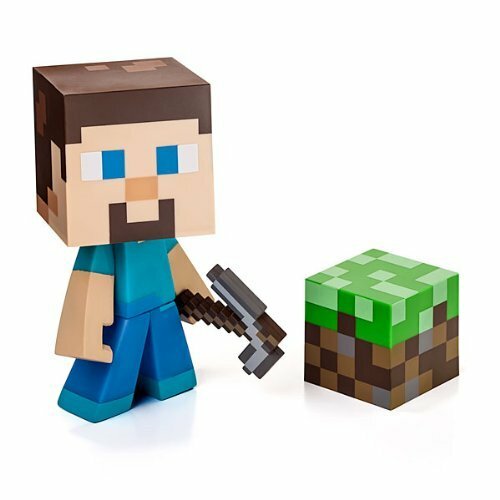 The other Steve figure includes the block of earth and the pickaxe which is removable. 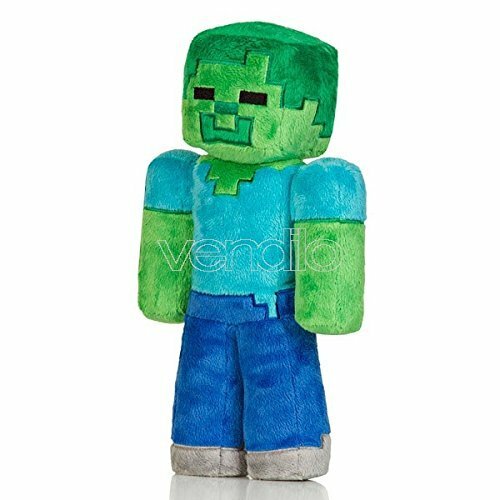 The Creeper is one of the most recognizable characters from Minecraft and there are loads and loads of products in this bright green color. It’s really too bright for me but these accessories would probably keep a Minecraft crazy child quite happy! 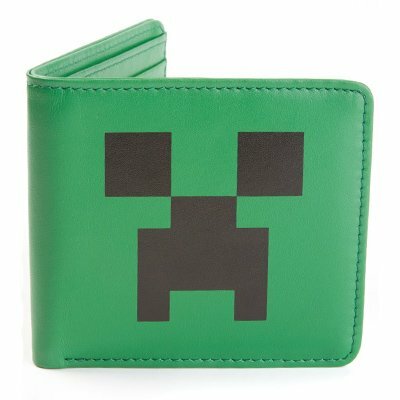 The wallet is not only bright green, it’s actually made of leather so I’d guess that’s aimed at an adult market. 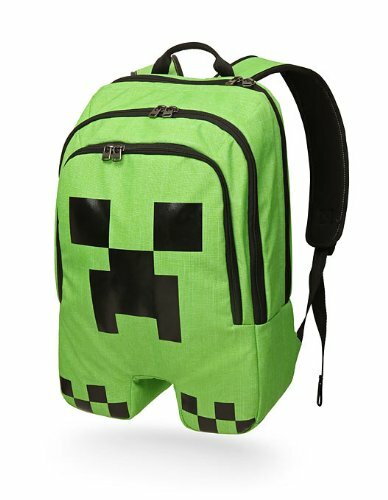 If your guy is Minecraft crazy too and doesn’t mind bright colors, this could be a perfect gift! 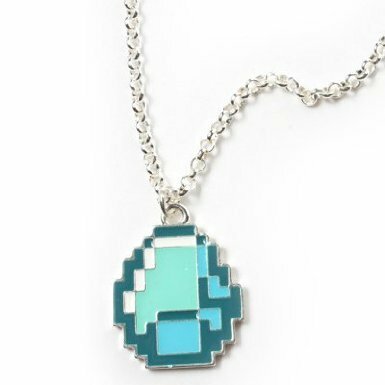 Lastly we have a couple of costume jewelry necklaces. The reviews for both are pretty good and say that the colors are accurate to the game and that kids love them. 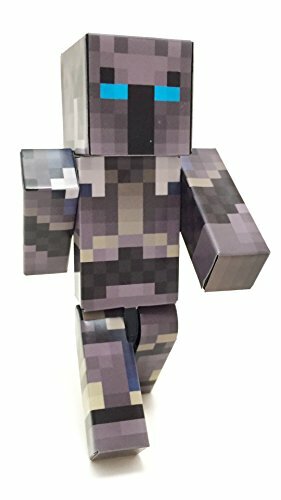 Of course, that doesn’t mean that adults won’t like them – I’m sure any ladies out there who play Minecraft would enjoy them too. 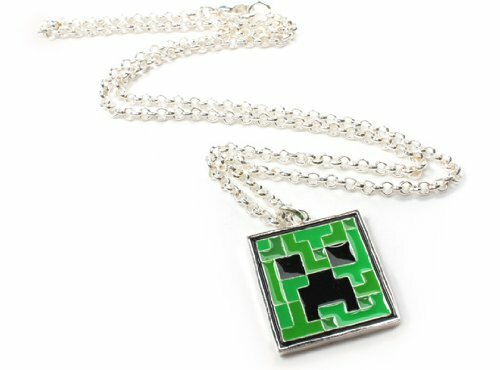 If you need more Minecraft gift suggestions, check out my older post for gift ideas for Minecraft fans where I found a bunch of other Minecraft stuff for you to enjoy.